I apologise for my absence online but now that I’m back to work, it’s hard keeping up with the bonsai regularly. Normally I’d be all over the trees at this time of year but this year has been different. I’ve found that I don’t have the same level of interest in the trees at the minute and I’ve been unable to attend a lot of bonsai related events or occasions, which hasn’t helped. Anyway I tell myself that I must continue to make records because one day I shall look back and I shall be glad of it. In the mean time I’m doing my best to keep things ticking over at the very least. 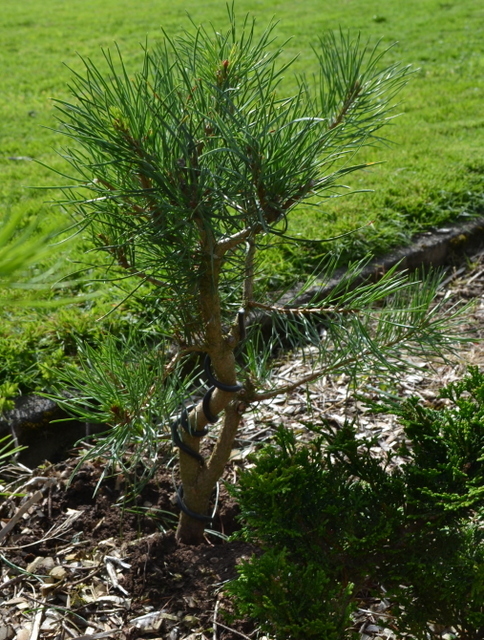 A long overdue rootprune of this wee collected Scots Pine. It’s been in this cut down plastic flower pot for a long time. Good evidence of mychorrizae. 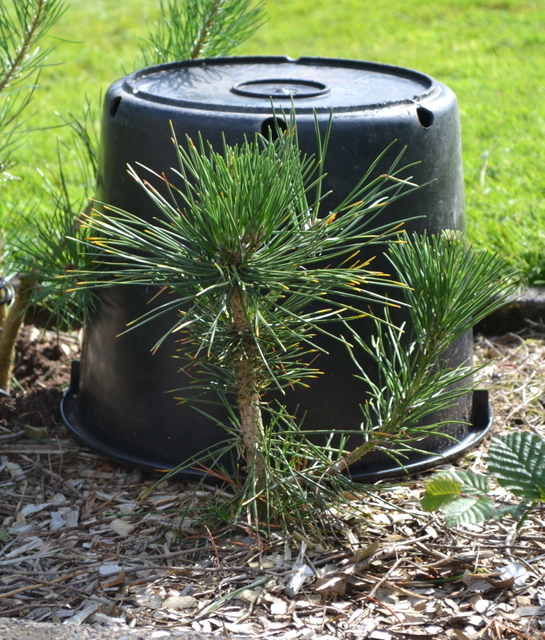 I had no hesitations about reducing the rootball substantially to fit into a plastic training pot. I never got round to buying a ceramic semi cascade pot. 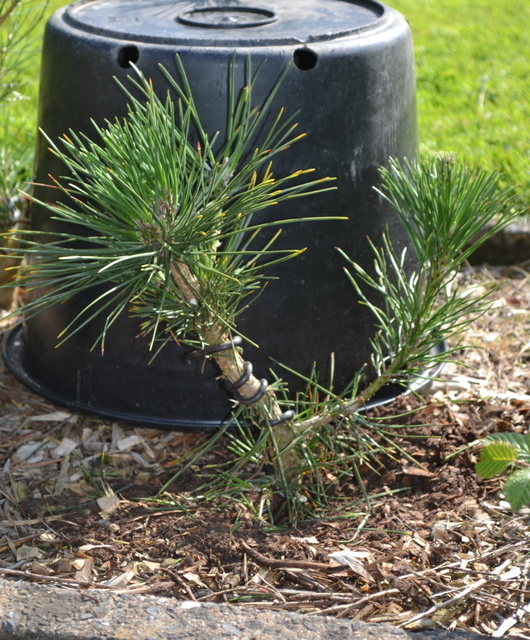 Finally, a first styling for this pine that was collected as a very young seedling over five years ago. The gnarly, exposed roots are definitely its most distinctive feature and will be shown off in the final semi cascade image. I can’t take credit for the styling, it was done before Christmas by a friend who has been helping me catch up with bonsai tasks missed during the year. 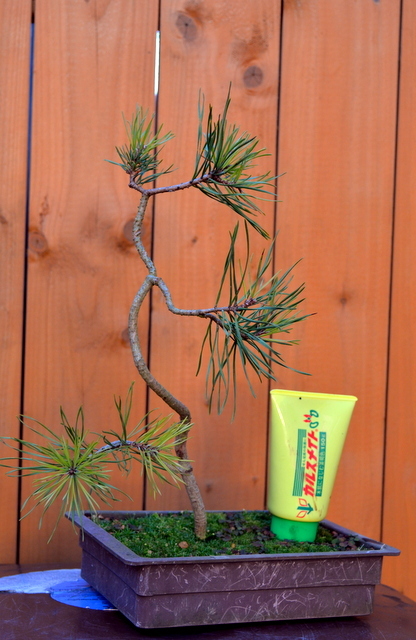 Root prune and repot into a smaller ceramic container next year. 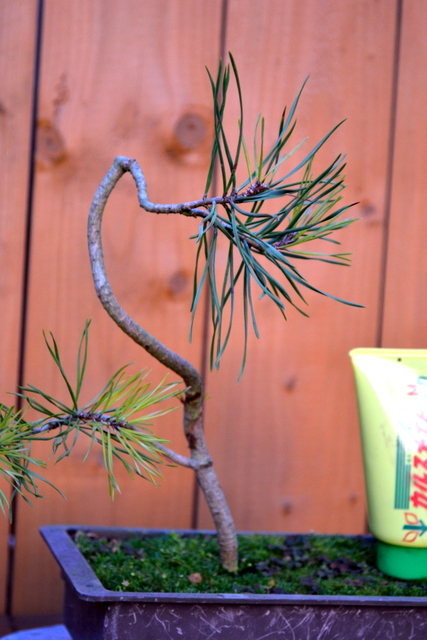 Keep new growth very short to promote back budding. 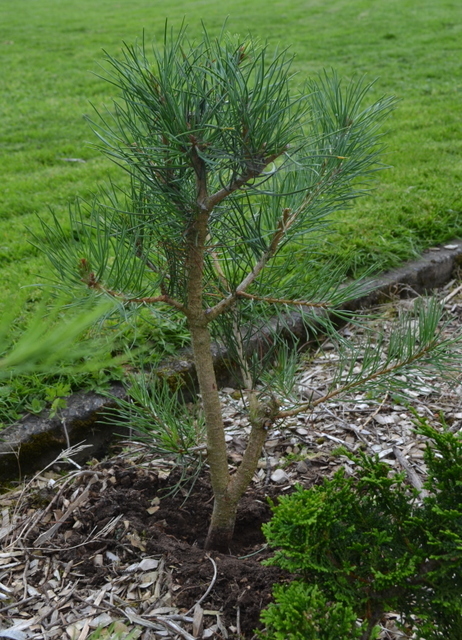 Some young pines in the flower beds have been growing strongly all year. Very straight trunks though and I thought it best to finally wire them (loosely) before I forget. 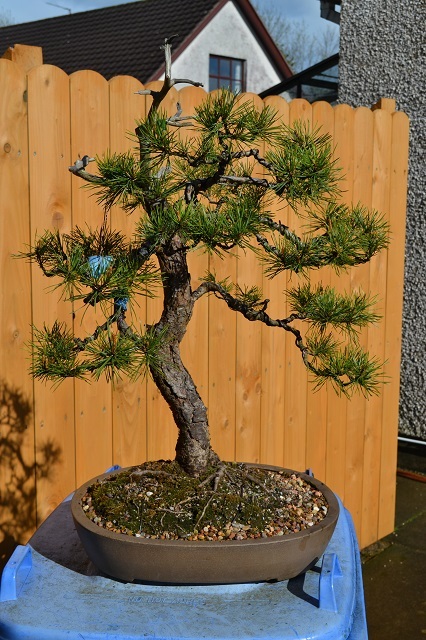 Scots Pine 5yrs old. Before. 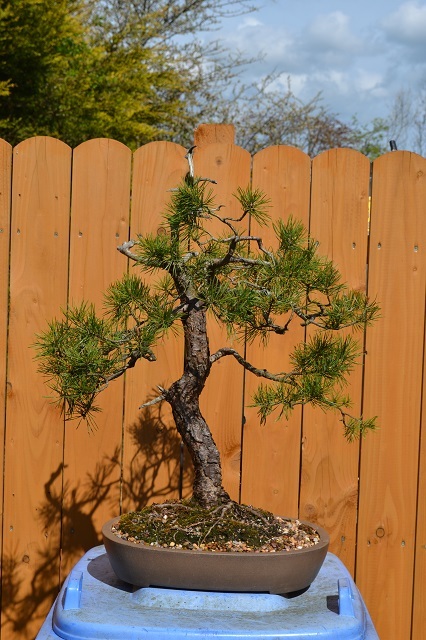 Japanese Black Pine raised from seed four years ago. Before. I’m looking forward to lifting these in the spring to see what the roots are doing.